Sparta Reconsidered: Missing Mothers -- The Cause of Sparta's Decline? The dramatic decline in the Spartiate population between Thermopylae (480 BC) and Leuktra (371) has often been cited as the cause of Sparta’s political decline as well. 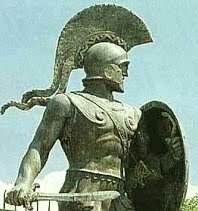 At Thermopylae, a full call-up of all citizens over the age of 20 and under the age of 55, enabled Sparta to field an army of 6,000 citizens (Spartiates) – not counting perioikoi or helots. Yet at Leuktra, when again there was a full call-up of 35 age cohorts, the Spartan army consisted of only 700 citizens. This dramatic decline in manpower was not only a serious disadvantage on the battlefield, where Sparta’s enemies could deploy (as they did at Leuktra) forces 50 deep to Sparta’s 12-man-deep line, it was also a disadvantage in economics and politics. 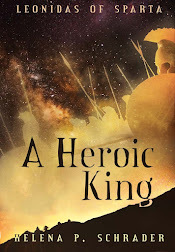 Because, evidently, the subject population of perioikoi and helots was not declining at the same rate, a shrinking ruling class of Spartiates was trying to dominate an ever larger body of disenfranchised inhabitants. Like apartheid, regimes dominated by too tiny elites generally collapse sooner or later. This is the reason Sparta’s population decline has long been a focus of scholars. While some scholars (e.g. Chimes (1)) have questioned the magnitude of the decline, most accept the numbers and prefer to concentrate on blaming the Spartans for their problems. Aristotle, of course, blamed Sparta’s women for everything since they could inherit property, and women are, according to him, inherently greedy, grasping and irrational. Hodkinson (2) ran demographic models to demonstrate how female inheritance leads to concentrations of wealth over seven generations. Other historians focus less on how wealth became concentrated in a few hands and more on the fact that as increasing numbers of Spartans lost their citizenship due to poverty, the Spartan state failed to respond adequately to the resulting crisis by opening the citizenship ranks. In short, the Spartans, due to their abnormal laws (female inheritance and polyandry) and their fanatical and irrational adherence to these laws, are to blame for their own decline. 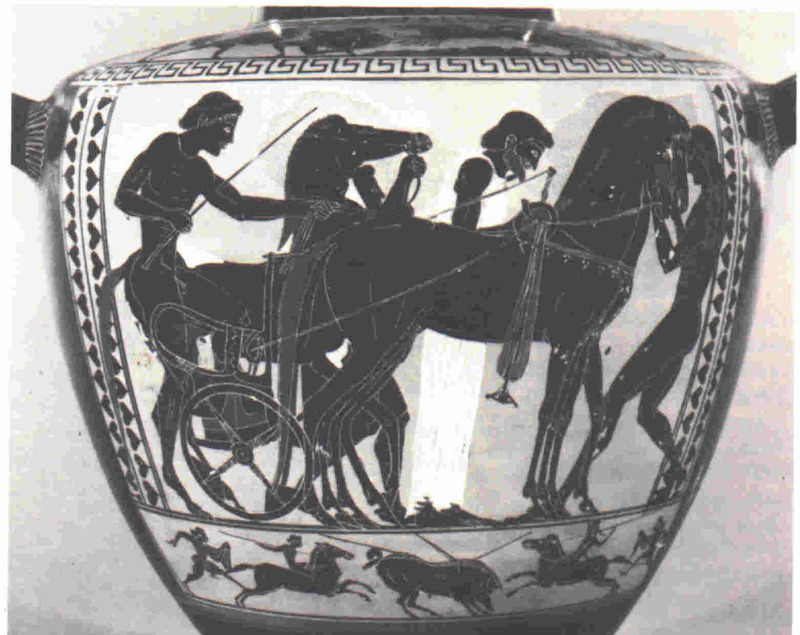 But as Figueira (3) has pointed out, Sparta’s population was growing or at least stable throughout the archaic period. 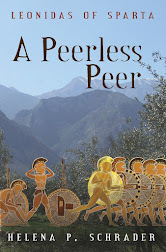 Either the laws on female inheritance and polyandry did not exist in the archaic period, or they cannot be made responsible for the decline in Sparta’s population in the classical. The Great Earthquake of 464, on the other hand, is an event which allegedly took 20,000 lives in Sparta alone, and its role in Sparta’s decline needs to be re-examined. The accounts of the earthquake are nothing if not dramatic. Pliny claims only five houses were left standing, and there are less credible tales of youths surviving because they ran out of a gymnasium to chase a hare, while the army was saved by being marched out in time. While the details may be hard to credit, I think it is safe to say the earthquake was catastrophic without, notably, impacting the strength of the army. Meanwhile, while some historians dismiss the ancient accounts as incredible, Hodkinson goes to the other extreme of dismissing “modern guesswork” about women and children being more heavily impacted by the earthquake simply because it is not mentioned in ancient sources. Given the misogynous bias of our ancient sources and the focus of most ancient accounts on Sparta’s military strength, I have no problem using common sense in the absence of a specific reference. Ancient sources rarely mention women or children in any other context either! Following Figueira’s overall thesis that the Great Earthquake was the catalyst that set off a chain reaction ending in Sparta’s decline, I’d like to suggest that the impact might have been even more dramatic than Figueira contends. My thinking is as follows: If – as is reasonable – women and young children were killed in disproportional numbers, then the size of the Spartan army would not been seen to decline for almost thirty years. 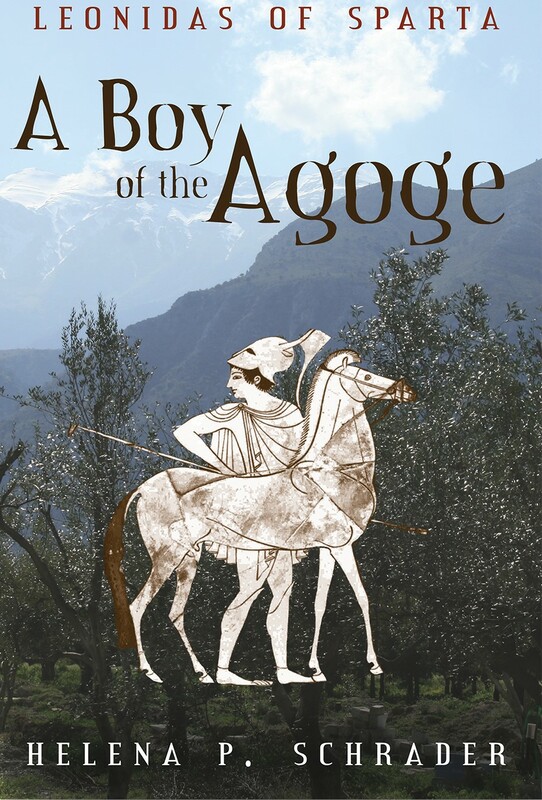 This is because the youth of the agoge were not disproportionately affected, so youths would have continued to graduate from the agoge and fill the ranks of the army for at least 14 years after the earthquake. Thereafter, for at least another 10 to 15 years, it would have been easy to maintain front-line strength by retaining men who would normally have gone off active service, i.e. by increasing the number of reserve age-cohorts on active duty. Only when the age of the reservists made it unpractical to retain them, would the dramatically reduced numbers of graduates from the agoge become evident in the army. The number of children entering the agoge, on the other hand, would have declined dramatically in the first seven years because of the children killed outright and thereafter because of the missing mothers -- or more acutely, the missing wives. The men already married, who marched to safety, would have lost their wives, while the youth in the agoge would have lost their future brides. Obviously, some women survived, but if the number of surviving women was significantly disproportionate to the number of men, then the situation might have fostered the introduction of polyandry. It is significant that polyandry is not mentioned in Herodotus. The hypothesis of disproportionate casualties among women, maidens and girls would help explain not only the population decline of the second half of the 5th Century but also the evolution of such a peculiar custom for this part of the world at this period. The shortage of Spartiate women would also explain the emergence of new-classes of quasi-citizens such as mothakes/mothones, nothoi, and neodameis. If there was a shortage of Spartiate female sexual partners following the earthquake, it would be only natural for the men, particularly the bachelors, to take perioikoi, helot or even foreign women – if not to wife – at least to their beds. They would then, particularly in face of the increasingly acute military manpower shortage, have had a strong interest in seeing the sons of these unions educated and at least partially integrated into the system. The fact that none of the above terms is found in reference to pre-earthquake individuals suggests to me that such classes of quasi-citizens either had not existed before or had not existed in sufficient numbers to be worthy of mention. All in all, the thesis of “missing mothers” seems to explain more about Sparta’s decline in the later 5th Century BC than any other theory I have seen put forward. (1) K.M.T. 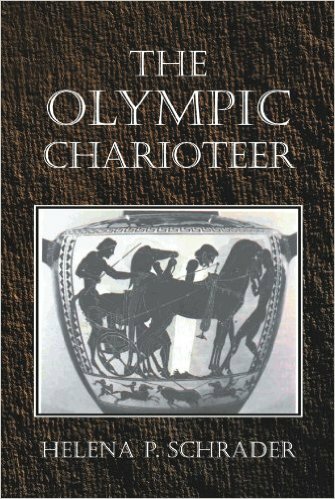 Chimes, Ancient Sparta: A Re-Examinaton of the Evidence, Manchester University Press, Manchester, 1952. (2) Stephen Hodkinson, Property and Wealth in Classical Sparta, The Classical Press of Wales, London, 2000. (3) Thomas Figueira, “Population Patterns in Late Archaic and Classical Sparta,” Transactions of the American Philological Association 116 (1986), pp.165-213. I would also agree with your conclusions. I do believe that the earthquake not only killed much of the women folk but also caused societal changes. I would also like to add that maybe the decline in the Spartan army was due to these excellently trained soldiers left to become mercenaries which paid in coin. The huge demand for mercenaries at that time was huge. 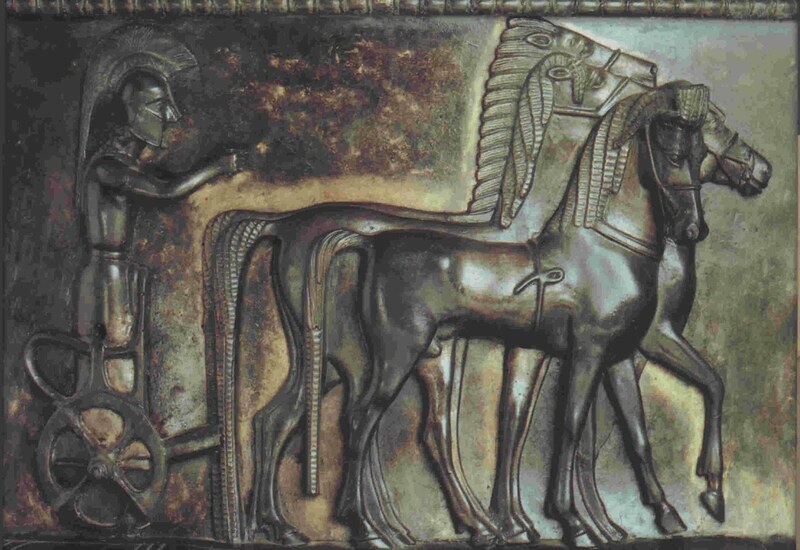 Crete was the home of many mercenaries. For me it is the double whammy of the earthquake, the change in society due to the loss of females and the rise of mercenary market. Excellent article. 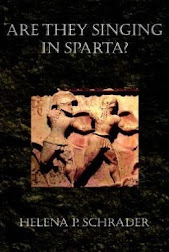 It shows how much the historiography of Sparta is dominated by male viewpoints -- the majority of historians don't think about the experiences of Spartan women and, just as important, the causal effects of those experiences. Always an eye-opener reading this blog. Very interesting and definitely at least as credible as all the other explanations of Sparta's regrettable decline that ultimately and inevitably was also the end of free Greek. One of my sons kept picking "The Greek Armies" from the public library, as a toddler and elementary school student. He seemed quite taken with the Spartans, but we kept point him at the declining numbers given for the Citizen Population of Sparta and eventually he decided it might not be the best model for how to keep a city functional. This "missing mothers" hypothesis is also the mathematical basis behind women not being warriors in most traditional societies (except in special circumstances). Women did not fight in battle (even if they could) because women had a more important task: To replenish the warrior class. The goal is to win wars, not battles, and wars require ever more warriors.